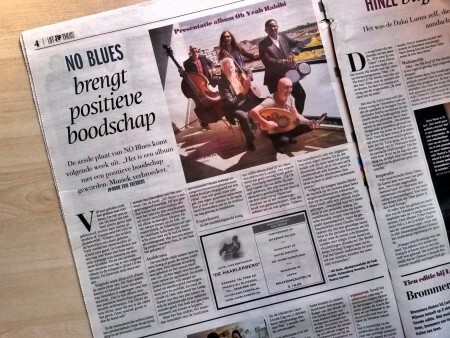 Erik Krebbers of Dutch newspaper De Stentor interviewed us about ten years of NO blues and the release of our new album next week. 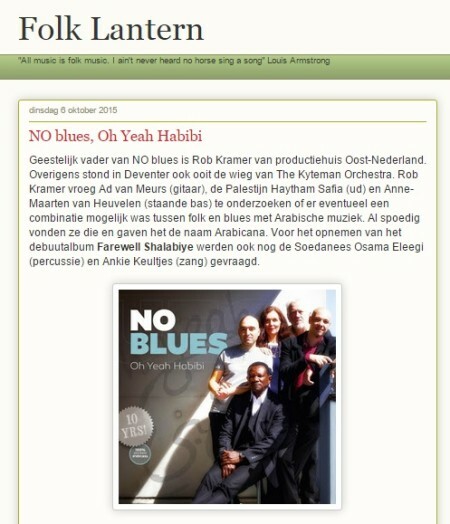 Anne-Maarten explains why this album is special to us and our Arabicana feels more up to date than ever. Dutch newspaper the Deventer Post highlighted our official album release show in the Deventer Schouwburg on thursday Octobre 8th. For all you Dutchies, don’t forget to get your tickets in advance on the website. See you there! 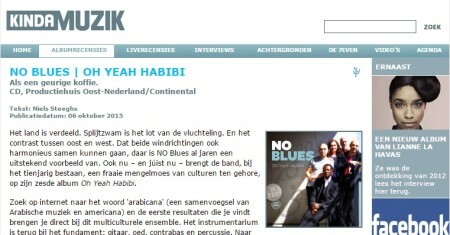 We especially like that last sentence, it is a good discription for our upcoming record Oh Yeah Habibi. More news soon! 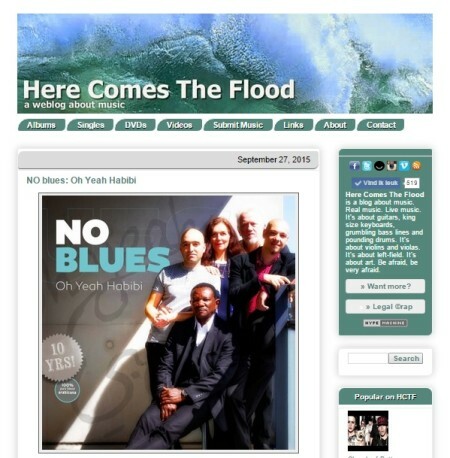 In October NO blues will release her sixth album “Oh Yeah Habibi”, get a glimpse over here. We are looking forward to a fun summer with NO blues. 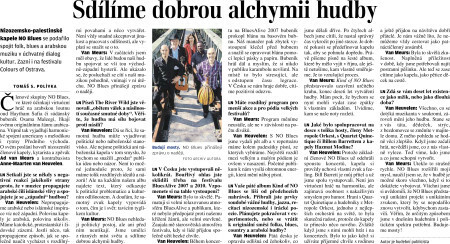 We start of with gigs in the Czech Republic. The band plays at United Colours of Ostrava, the biggest music festivals in the country. 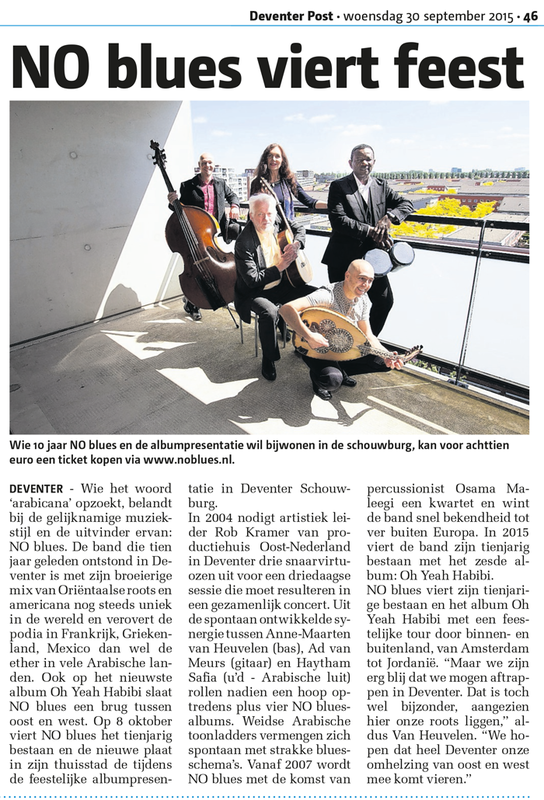 On the way there, we play in the city Jablonec nad Nisou and after Ostrava we head for the Woche der kleine Kunsten in Gutersloh, Germany. Which sounds like a a nice gig too! 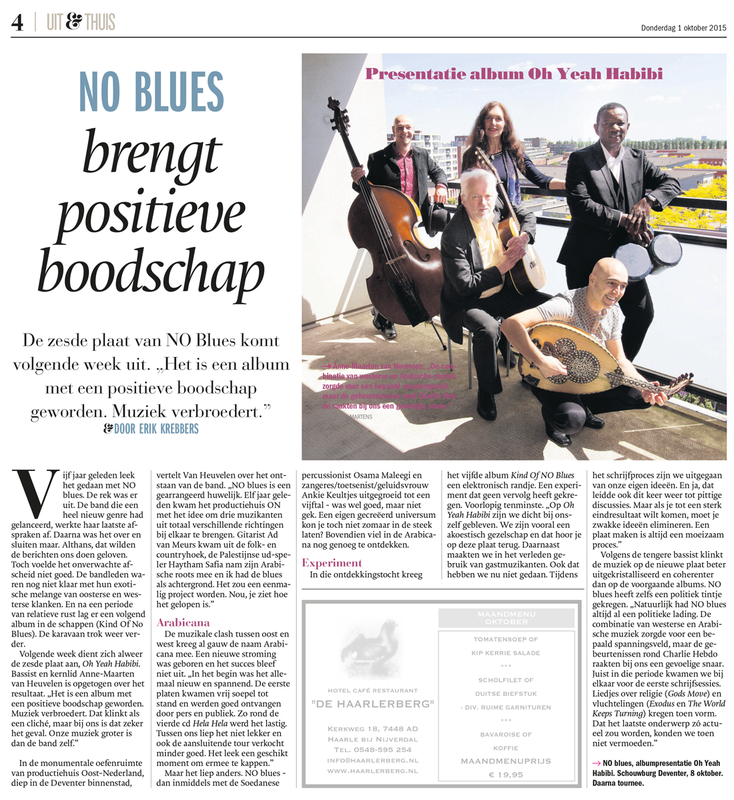 After doing a private show in Holand the summer with NO blues ends at the City festival in Zwolle. Some nice outside veues to look forward to. 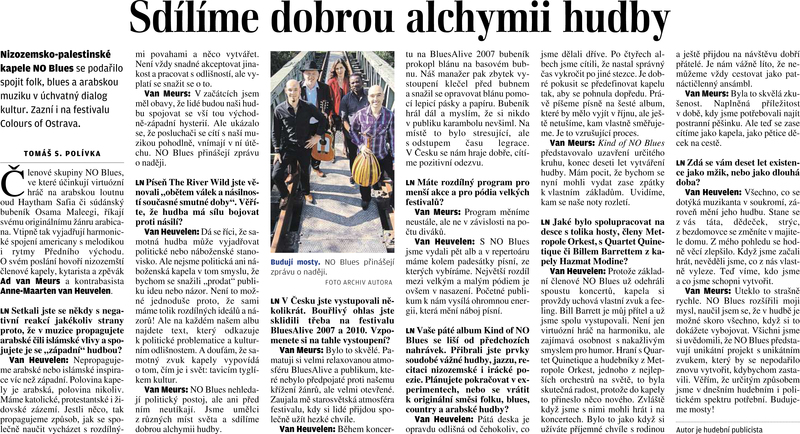 For all our Czech fans; we did this interview with the Lidove Noviny. Enjoy! See picture fot Czech version and the following link for a crappy Google translate version in English.